Hugo Duminil-Copin is a probabilist. He works on statistical mechanics models such as percolation, the Ising model, the Potts model in 2 or 3 dimensions, random walks in random environments. His research also has an impact on mathematical physics, complex analysis and combinatorics. In addition, he makes significant contributions to statistical physics. 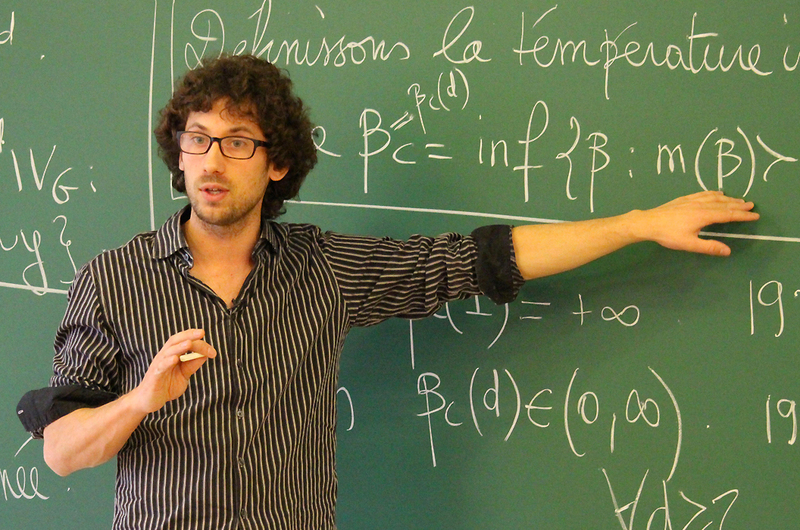 He also works on the study of stochastic models such as random walks in random environments. Hugo Duminil-Copin’s research has made considerable contributions to percolation theory, a branch of probability theory that is concerned with the behavior of connected clusters in random graphs. 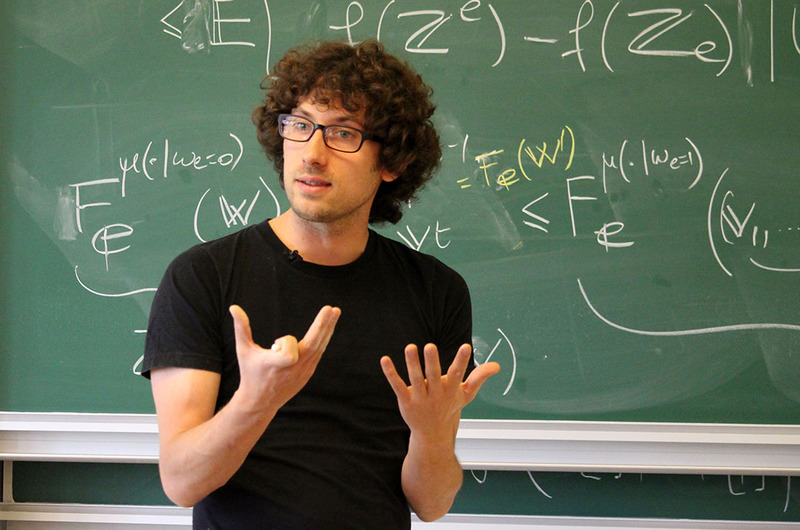 Along with Stanislav Smirnov, he is interested in self-avoiding random walks, which are central to understanding important questions in physics. They are used, for instance, in statistical mechanics, such as the simplified models of polymer chains. Hugo Duminil-Copin just received the Loève Prize (Berkeley, USA) and the Grand Prix Jacques Herbrand from the French Academy of Sciences. 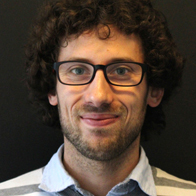 The European Research Council also awarded him a prestigious ERC Starting Grant. These two international prizes recognize once again the importance and the quality of his work. 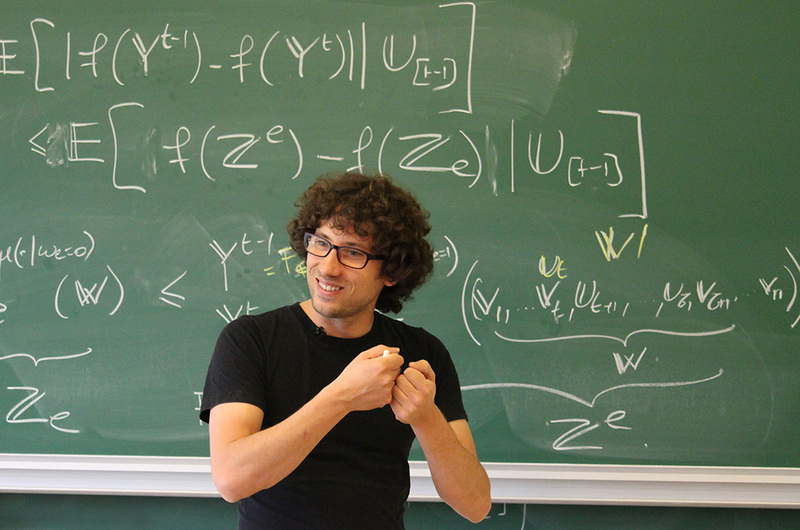 The recognition, awarded by the Breaktrough Foundation, celebrates mathematicians who have obtained important results since the beginning of their careers.